“Angela Merkel has ruled this country for twelve years. She has imposed a debt burden of billions on the Germans to protect the southern part of Europe from collapsing and to implement her idea of a European community. She has shaken the German energy industry to save the world’s climate. And she has opened the gates of the country to hundreds of thousands of refugees because she considered it a humanitarian obligation. She also changed the traditional notion of marriage, as marriage of husband and wife, just like that….” — Tagesspiegel. “We will reclaim our country and our people.” — Alexander Gauland, a former CDU official who is now co-chairman of the Alternative for Germany party (AfD). “The reality is that as of today, September 24, Ms. Merkel is in effect a lame duck.” — Handelsblatt. 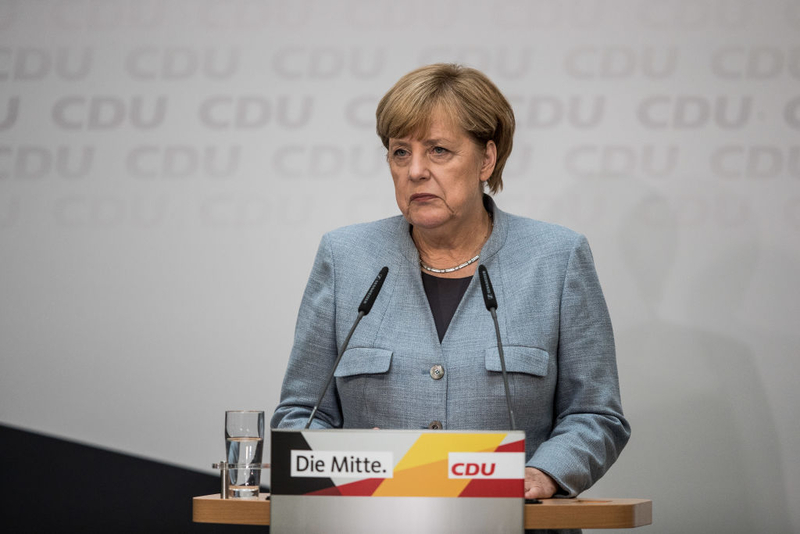 Merkel now has two main options for building a governing coalition: a so-called grand coalition between the CDU/CSU and the SPD, or a three-way coalition comprising the CDU/CSU, the FDP and the Greens. Building a stable coalition will be difficult, given that all the parties have differing ideologies, platforms and priorities. Merkel has governed twice in a grand coalition with the SPD and once in coalition with the FDP. Schulz has insisted that the SDP will not agree to another grand coalition because it would leave the AfD as Germany’s main opposition party, which would give it special rights and privileges in parliament.